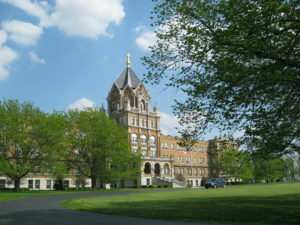 St. Charles Center is the motherhouse of the Missionaries of the Precious Blood, Cincinnati Province. Located on 500 acres outside the tiny town of Carthagena, Ohio, St. Charles has been a beacon of faith and powerhouse of prayer for over 100 years. Today, St. Charles is home to people living as a community in 54 apartments. This community includes C.PP.S. priests and brothers as well as lay people, including married couples. They share meals in the Community dining room and worship together in the chapel. A senior living manager helps with their daily needs and organizes activities in St. Charles and beyond. To learn more about Saint Charles Senior Living Community speak with the senior living manager, call 419-925-4516, ext. 112. St. Charles also hosts annual events for the Missionaries, such as their assembly every spring, ordinations and definitive incorporations, retreats and other Community events. It has also become a local center for the arts, hosting such programs as an annual art fair, concerts and a display of nativity scenes from around the world. St. Charles is approaching the 100-year anniversary of the main building, but has a history that goes back even further. Fr. 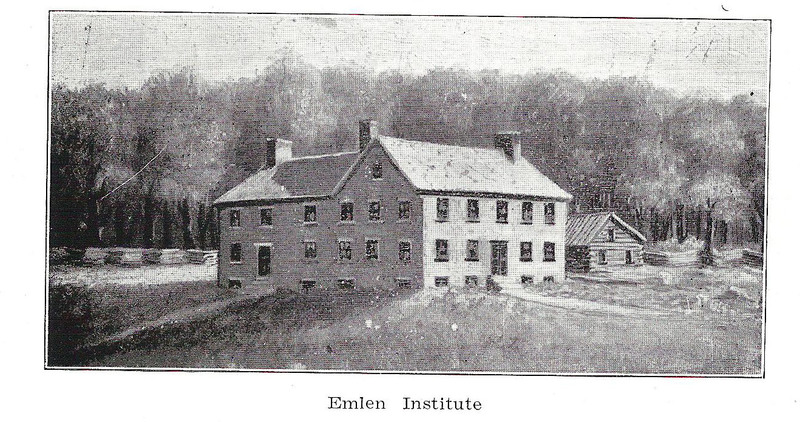 Tom Hemm, C.PP.S., the house director, said that he’s aware of that history going all the way back to the Emlen Institute as he walks the halls of St. Charles. It is a local landmark and has benefited from years of service from its neighbors, many of whom have worked in the kitchen or infirmary, in the barns or on the grounds, and who have helped preserve the beauty and integrity of the place. In the mid-1960’s as changes were affecting the Church, there was a drastic reduction in the number of vocations. 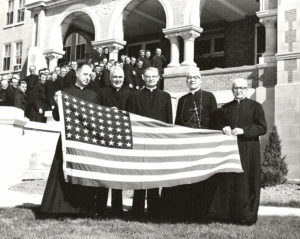 This, along with a desire to make use of the opportunities offered by an urban setting, a difficult decision was made in 1969 to discontinue the seminary program at St. Charles. Men in formation with the Missionaries now study at Catholic Theological Union in Chicago. Missionaries continued to use St. Charles as a retirement home for its priests and brothers. But the number of retired C.PP.S. members peaked in the 1980s and early 1990s, so fewer and fewer of the rooms at St. Charles were being used. 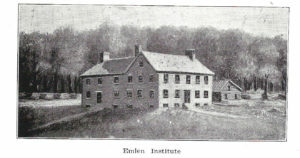 The Missionaries took on a careful study of the facility and local needs. In 2001, the Congregation launched an ambitious plan to convert the former seminary into a senior living facility that would be open to the public, while still using it as a retirement home and gathering place for its own members. Renovations, which were done in two phases, were completed in 2010, with the help of a successful $7 million comprehensive campaign, Missionary Hearts. The project made the building much more accessible and crafted one- and two-bedroom apartments from former student dorms. The renovated dining room became the Gaspar Room, now home to meetings, retreats, presentations and other events for the Missionaries and the local community. Assumption Chapel was also renovated with better lighting and sound systems. The St. Charles history is continued here.